I apologize for the dust, though I guess it does give a nice size reference for how small this is. Even the plastic itself feels really high-quality. I'm looking forward to painting this up. 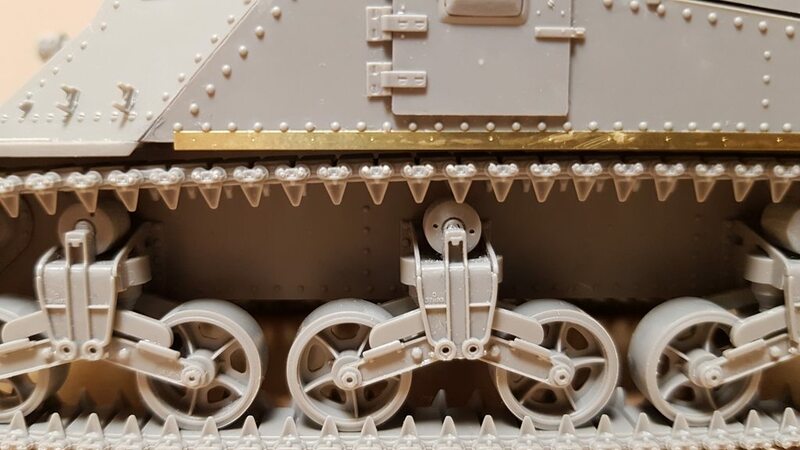 This looks so much better than that old Tamiya tank I bought. 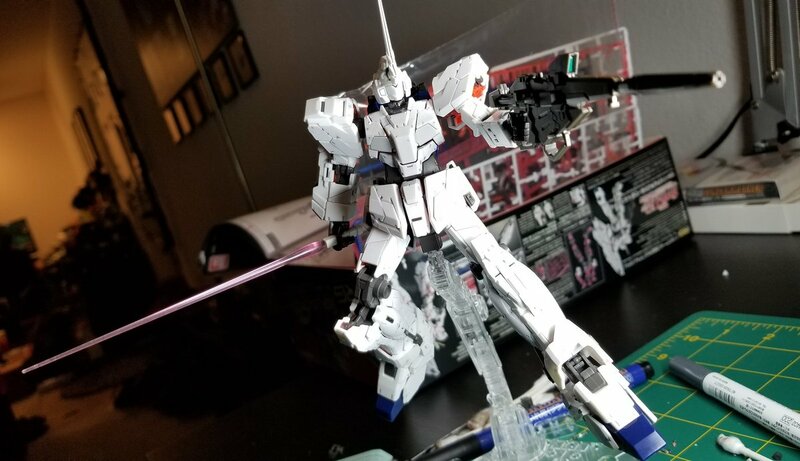 Still have details and detailing work to do, but after like five months or so of off-and-on building (mostly off for the last couple), my Unicorn is done. Nice, I have the RG Unicorn and Banshee sitting on my shelf waiting for summer. How was the build? They are good builds. 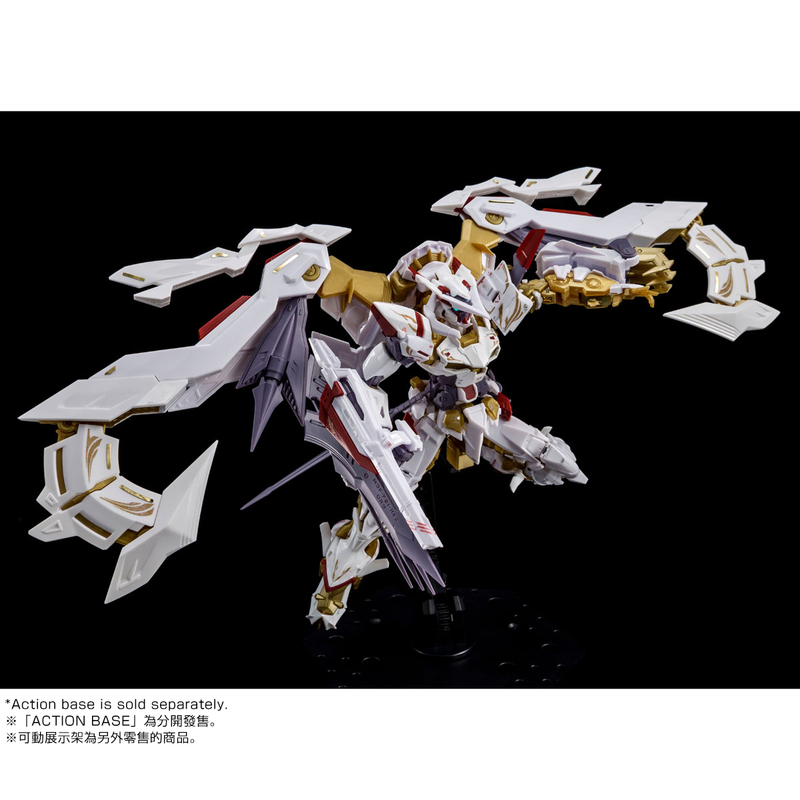 Shoulders might be a bit stiff, so make sure to move the arm innerframe plenty before assembly. Here’s a WIP shot of my Black Tri Stars Origin Zaku High Mobility Type that I snapped last week. Haven’t had as much time as I’d like to work on it with the semester coming to a close, but it’s shaping up nicely I think. 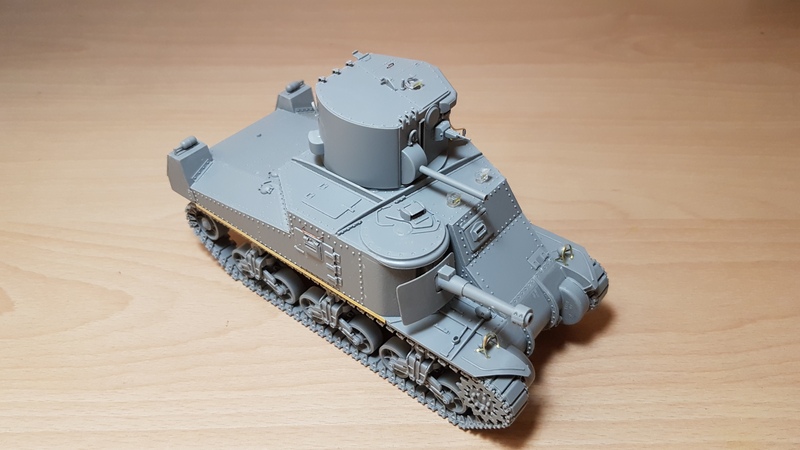 Do you guys have any recommended kit to try painting? I was thinking of getting another HG RX-78-2, since it's among the cheapest and simplest. Honestly, anything that you can get for cheap is a good bet to start painting with. I’d personally recommend something with a more mono-colored color scheme (A Zaku or a GM, for instance) because it’s a bit easier to start with less colors than more. I started work on an RG RX782. I'm panel lining and applying stickers as I go this time so I don't get overwhelmed at the end, as I often do. Yeahhhhhh. When I used to snap build I started doing that because doing it all at the end is so laborious. Having just about finished an out of box build on one of these this week, those colors look much better that what it's molded in. 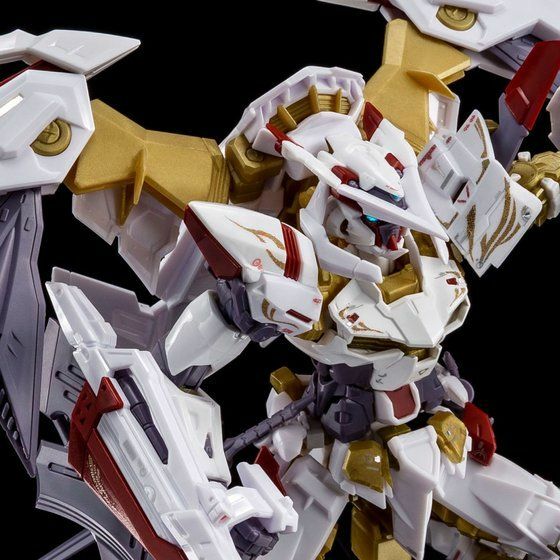 RG nu Gundam is being teased!